This post is sponsored and in collaboration with Amazon and Neutrogena. Quite recently, Allure decided on its best of beauty products and the winners are phenomenal. Allure editors test thousands of products every single week. Trying everything from designer ranges, all the way to drugstore. Sometimes they're even testing the small indie brands that can only be purchased online. Every October, Allure announces 250+ winners for the best of beauty. The Allure Best of Beauty Awards are considered the beauty industry's ultimate stamp of approval. You can find all of the winners right here. The Neutrogena Hydro Boost Hydrating Tint is 1 fluid ounce of pure goodness, perfect for dry skin. This is ideal now that we are are in the cold winter months. One of my biggest regrets on my last trip was not hydrating my skin enough, or using makeup that helped me to hydrate the skin. This is liquid makeup that plumps my skin and helps to keep it hydrated without looking greasy. 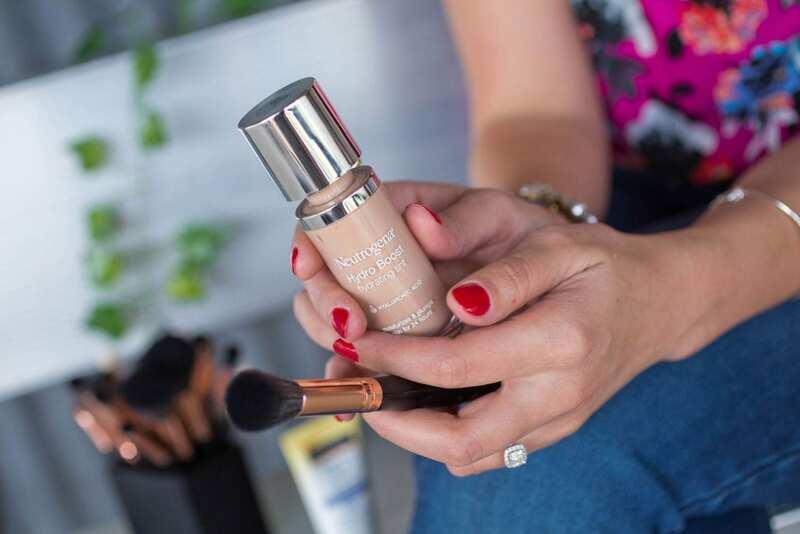 When it comes to using this hydrating makeup, the product genuinely helps to hydrate the skin for up to 24 hours. It's almost like putting a tinted hydration layer to the skin that makes everything look more balanced and healthy. This formulation has hyaluronic acid in it, so it's perfect for hydrating the skin. It's also better for the skin in comparison to wearing no makeup at all because this is super hydrating. The Makeup Remover Cleansing Towelettes & Wipes are so gentle on the skin, and work effectively. I love the statistic that shows that these wipes remove 99.3% of all makeup. It's not a 100% guarantee, but it's close enough right? 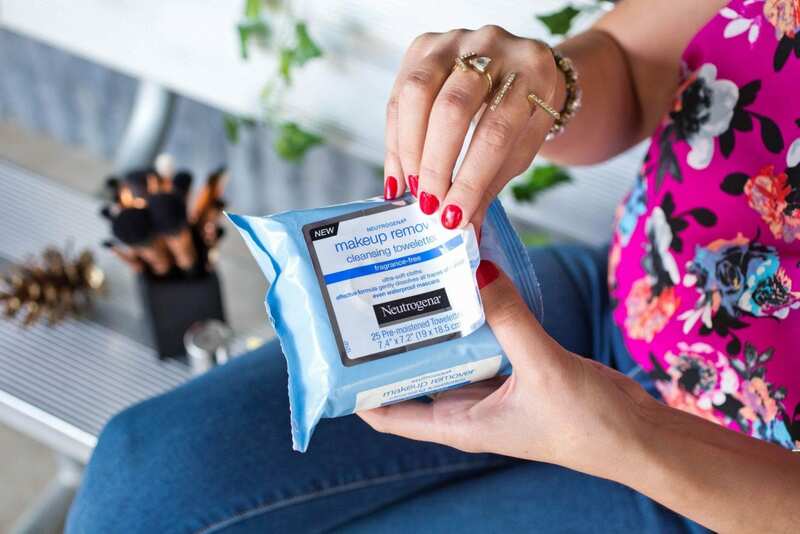 These wipes help to get the dirt and oil off the skin too, and waterproof mascara is no challenge. One of my biggest requests when it comes to makeup removing wipes is that the packaging is re-sealable. It's super obnoxious when the packaging is not made effectively and the wipes are dried out quickly after opening. The wipes are ophthalmologist, dermatologist, and allergy-tested. Along with the fact that they're alcohol-free, this summarizes a great wipe that is okay for sensitive skin and can remove all kinds of makeup, oil, dirt, toxins, etc from the skin. If you've been to my blog before, you know I have a serious obsession with sunscreen. When it comes to the sun, I don't play games because Arizona is hot. The sun beats down on us for 9 months each year, and I want to protect my skin. The Sheer Zinc Face Dry-Touch Sunscreen Broad Spectrum SPF 50 allows me to do so in an easy manner. I don't need to be afraid of going outside and spending a bit of time in the sun because this sunscreen will protect me. The product comes in a 2 ounce tube of 100% zinc oxide face sunscreen, containing antioxidants and allows to be layered invisibly under makeup. It is formulated with Purescreen Technology which helps to protect against harmful UVA and UVB rays. Keep in mind that most sunscreens historically have only protected against one or the other, so protecting against both rays is huge. Something I enjoy when it comes to sunscreen is not feeling greasy and like I applied sunscreen. The Dry-Touch technology helps to ensure that the usage of the sunscreen is lightweight and of course has a non-greasy finish. In addition, this sunscreen is of course, dermatologist-tested, hypoallergenic and super gentle even on sensitive skin like my own. Over the past year, I've had minimal problems with acne. Lucky me, right? Well, all of that flew out the window over the past month. It's been a struggle because there's some acne I can't seem to shake. 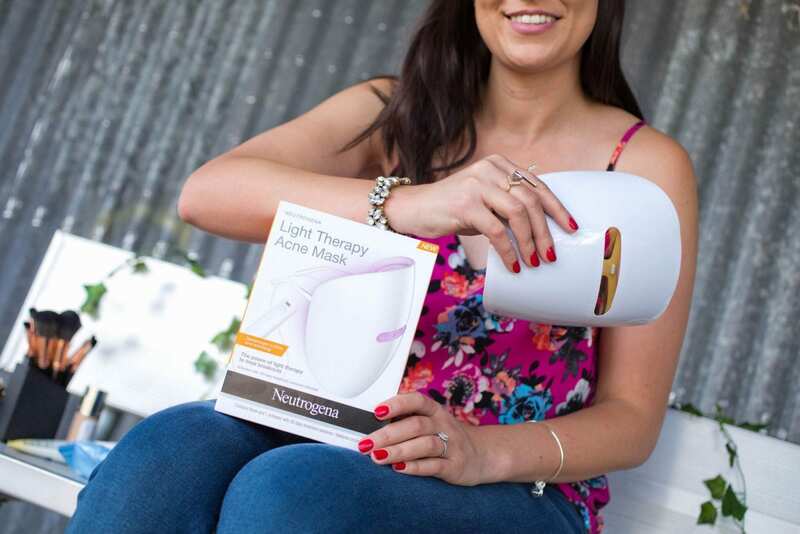 The light therapy acne treatment mask has been the answer to my problems. This mask uses blue light to target acne-causing bacteria in the skin. In addition, it helps to clear existing acne and allows the skin to heal properly. Normally after I have acne, there are dark spots on my skin, but with this mask, the light is able to allow the skin to heal much better. 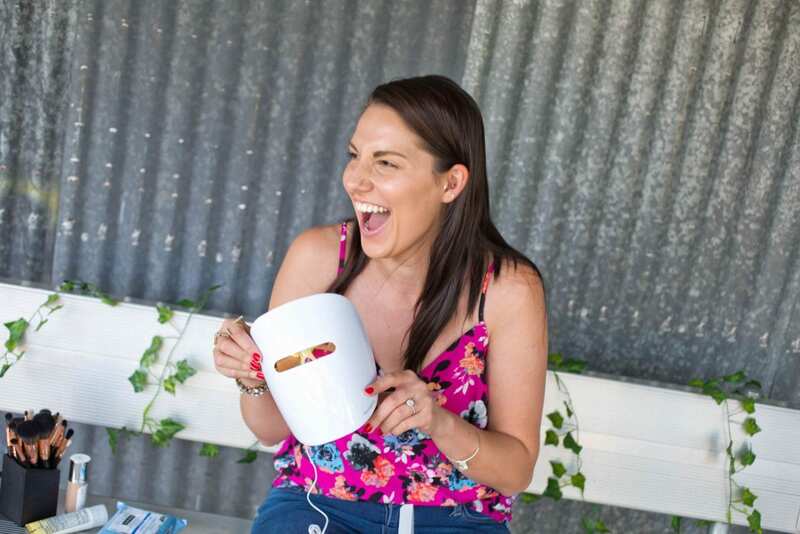 I know this mask may look a bit funny (my photographer and fiance were making fun of me and that's how they got me laughing hysterically on camera) but it genuinely works wonders. After just a few treatments, you can really see a visible difference with the skin, and less acne. If someone in your family has a problem with acne, this is a great solution for them. Beauty and skincare is always my favorite thing to give everyone during the holidays, as it's something others will use. When it comes to gift cards, clothes, and other types of gifts, it may not be as applicable as some makeup removing wipes or sunscreen. What's your favorite thing to gift for the holidays?